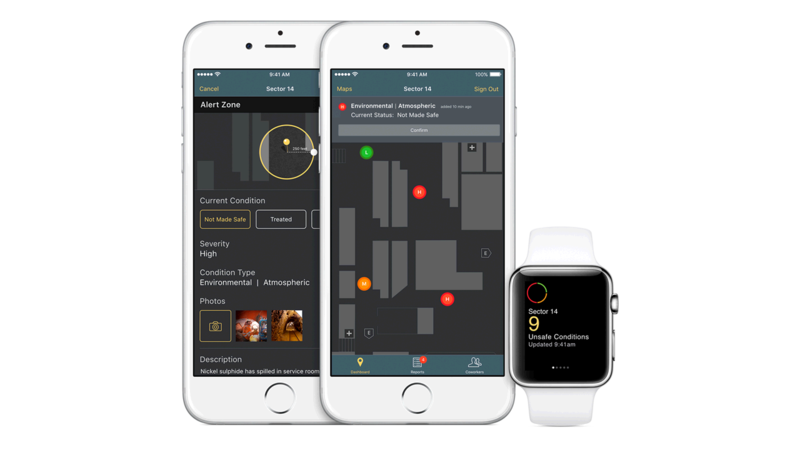 IBM MobileFirst for iOS Safe Site enables production workers to instantly document and share information about unsafe work conditions. Predictive analytics provides production workers with recommended steps to effectively manage reported incidents based on historical data and safety practices. The app enables a company to get a more accurate and sophisticated analysis of incidents. It gives insights on comparative costs, causal factors and trends for improved decision making. Production workers can initiate an incident report directly from the iPhone. Safe Site provides detailed information that can be easily documented by workers using built-in iOS functionality such as camera, video and a microphone to record information. GPS tracking gives an accurate determination of the incident location. Production workers are able to report incidents immediately after they are identified. Safe Site provides analytics-driven guidance on specific actions which they can take to effectively manage the incident. Foreman and other supervisors are equipped with robust analytics and insights to inform decision making and improve safety. Have all the inspection information at your fingertips. Use predictive analytics for more efficient shift transitions.